Can Russia Successfully Mediate the Israel-Palestine Peace Process? is a former research intern, IPCS. US President Donald Trump has been working on a peace plan for the Israel-Palestine conflict, which is expected to be presented by early 2019. However, the US has largely lost its credibility to mediate the peace process, especially in the eyes of the Palestinians. The recent relocation of the US embassy from Tel Aviv to the contested city of Jerusalem and Washington’s cancellation of its funding for Palestinian refugees have reaffirmed this idea and de-legitimised current US initiatives. Given the Palestinian representatives’ wariness regarding Washington; the former’s requests to change the mediator; and Russia seemingly interested in taking up a larger role in the peace process, it would be worthwhile to evaluate what Moscow can bring to the table as a mediator. Although the US has been the main actor in the peace talks, Russia is not entirely new to the process. Russia was one of the countries that co-sponsored the 1991 Madrid Peace talks. It has also been a member of the Quartet on the Middle East (the other members are the US, UK and the EU) that was formed to mediate the Israel-Palestine conflict in 2002. Moscow thus has valuable experience relevant to this peace process. It is also important to note that the previous instances of Moscow’s participation in the peace process took place in the backdrop of decreasing Russian influence in the region. The current revival of Russian influence in West Asia combined with a diminishing regional role of the US places Moscow in a stronger position now than before. Another factor in Russia’s favour has been its perceived neutral stance regarding both sides of the conflict, whereas the US is increasingly being viewed as a dishonest broker. Russia views the Palestinian demand for statehood as a legitimate, and also maintains cordial ties with most Palestinian factions. Unlike the US, which views Hamas as a terrorist organisation, Russia has direct access to both the Palestinian Authority, and Hamas. Unity amongst these competing Palestinian factions could prove important for the peace process–something Russia could potentially help facilitate. Russia has also maintained strong political and economic relations with Israel. The current conflict in Syria has further improved the relationship between Russia’s President Vladimir Putin and Israel’s Prime Minister Benjamin Netanyahu, which could provide Russia with more room to manoeuvre on the Israeli side in its search for a political solution to the conflict. Diaspora is another factor that influences Russia’s relations with Israel. While the Russian diaspora in Israel includes both hardliners (like the Yisrael Beiteinu party, which is currently in a coalition with the ruling Likud party) and moderates (like Ksenia Sveltova) when it comes to the Palestinian issue, it does provide Russia with access to a wide-ranging section of the Israeli political establishment as well as a possible base in the population for its peace efforts. 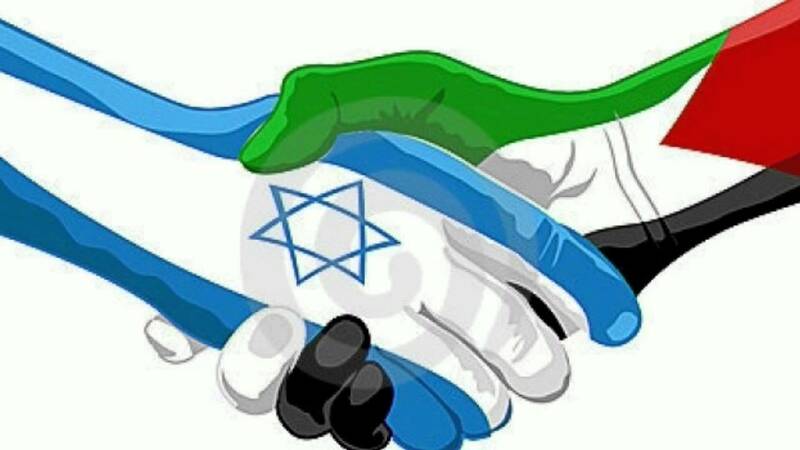 Although the friendly relationship between the two countries was in doubt after Russia blamed Israel for the recent ‘friendly-fire’ incident in Syria, Netanyahu has succeeded in defusing the situation. Nonetheless, past experiences of Russian mediation have mostly not been successful and Moscow’s peace efforts have in fact led to more chaos. Russian methods to resolve conflicts have relied more on use of force than peaceful means, which has resulted in “negative peace.” Recently, the ‘de-escalation zones’ in Syria, which were established to bring about a period of peace, instead provided Syria’s President Bashar al-Assad with space to focus his limited resources in the war on more important fronts. The recent (and likely temporary) solution for Idlib reaffirms this notion. In spite of that, a possible peaceful resolution through a Russia-led peace process for the civil war in Syria would be a success for Russia’s status as a mediator and could possibly facilitate its re-entry in the Palestinian issue. Finally, the recent changes in the international dynamics in West Asia have provided Russia with space for involvement in regional affairs. Although Russia’s main regional allies like Syria and Iran remain most hawkish when it comes to Israel, Moscow’s recent activities in West Asia have provided it with more leverage over these allies. Russian involvement in the peace process could, at least tacitly, bring these countries in line with an agreement that would limit the number of possible spoilers. On the other hand, the US can generally bring more regional actors–like its traditional Gulf Cooperation Council allies and NATO-ally, Turkey–to the table. In this, Moscow would have to seek cooperation with Washington to make for an inclusive peace process. Overall, Russia as a mediator would bring certain important aspects to the table given its re-emergence as a player in the region; its perception as being less partial than the US; and its wide-ranging connections with parties from both sides of the conflict. That said, although Russia may be able to bring regional spoilers in line and mediate, given the US’ decades of engagement with the region, Moscow will require cooperation from Washington to succeed.